Grinding processes in large mills use a lot of energy, resulting in high operating costs. Researchers at the Colorado School of Mines, ranked as the top institution in the world for mineral and mining engineering, are using particle simulation to study grinding performance for a vertical stirred mill. The effort is expected to lead to greater efficiency and lower costs. ESSS, the maker of Rocky DEM software, talked to one of the Mines researchers, Ph.D. candidate Danielle Campos Rocha, about how particle simulation contributed to her study. How does simulation software contribute to your research? I am analyzing the effect of operating conditions on grinding performance in a vertical stirred mill. 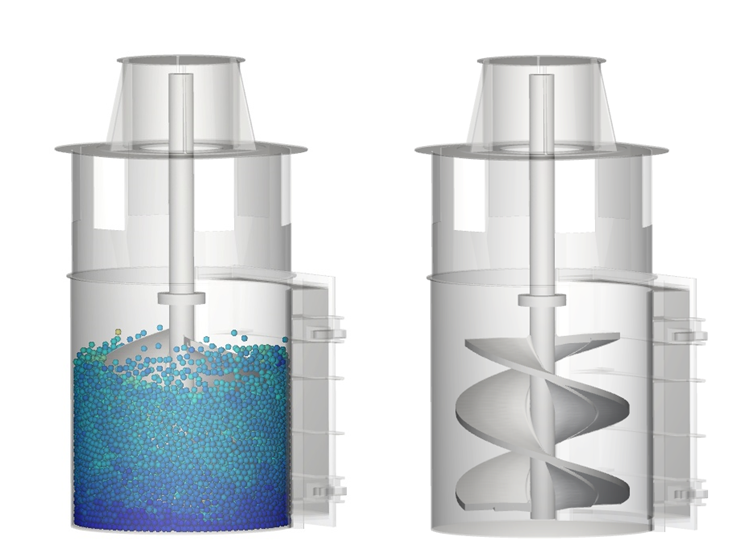 With particle simulation, I can check the media movement and path, and adjust operating conditions such as agitator speed, material properties, size of grinding media, friction, and coefficient of restitution. Figure 1: Vertical mill geometry (right) and Rocky DEM simulation of the vertical mill (left) showing absolute translational velocity. What qualities does DEM bring to your research? The research focuses on the kinetics of particles and how operating changes affect the collision intensities among the particles being analyzed. DEM is the best method for evaluating grinding performance, allowing me to fully understand the mechanical operation of a vertical stirred mill. It can also be used to optimize the operating parameters for a specific task. In my research, DEM allows me to calculate the power draw and to evaluate collision intensities among particles for different operating conditions. Why did you choose Rocky DEM for your research? There are other DEM software packages available, but my decision to use Rocky was influenced by many other researchers in the minerals processing area who are now using this software. The software called my attention to the easy interface and how straightforward and simple the it is to use. What are the significant discoveries you have made by using Rocky DEM in your project? Using Rocky’s simulation results in conjunction with laboratory analysis that was conducted on the same size equipment, it was possible to compare the simulated results to the lab results for power draw vs. agitator velocity (Figure 2). The simulated results produced a close match to the lab results, with only a five-percent error rate. I was also able to compare operating conditions and adjust them for better and more efficient grinding results. In conjunction with Population Balance Model (PBM) data, I can develop a relationship between product particle size and collisional energy to scale up and optimize grinding performance. PBM is a model used to show particle sizes during a grinding process, accounting for both the size and number of particles. It has become a widely used design tool for engineers dealing with the granulation process. The most important outcome of my research is proving that a combination of DEM and PBM can be used to predict product size distribution for different operating conditions and equipment size if you know the breakage parameters of your feed and how fast the particles will break. The results are applicable to many different-sized mills. 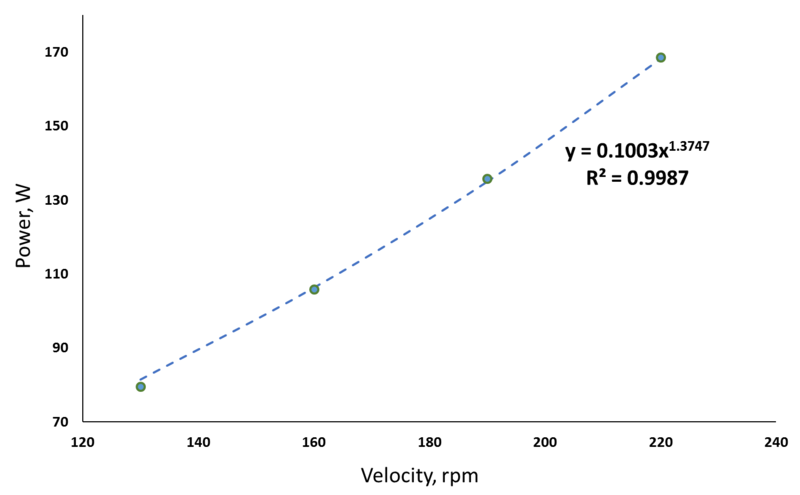 Figure 2: Rocky DEM power draw results at 190 rpm agitator velocity were within ~5% of laboratory results. Did Rocky DEM meet your expectations? The software is excellent. The analysis I can perform and how simple the process is go beyond my expectations. Rocky DEM is great for grinding mill analysis. It can also help a lot during the design and process optimization stages. 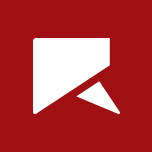 The Rocky portal is a great source for beginners and even experienced users, providing good tutorials and real industry application examples. The Rocky customer support team is excellent too. Rocky is a powerful, 3D discrete element modeling (DEM) program that quickly and accurately simulates particle behavior within a conveyor chute, mill, or other materials handling system. Rocky analyzes media flow patterns and energy absorption rates, particle breakage, and energy spectra analysis. The software optimizes life expectancy of conveyor belts and components, minimizes material spillage in a design, and reduces the need for dust control and suppression, among numerous other applications. This software is a revolutionary way to handle a problem through computer simulation.